"Advertising isn’t exactly rocket science." Ah, my least favorite adage, (all too often) invoked to remind us that the purpose of advertising is simple: to communicate and connect with consumers. And it’s true. It’s not rocket science. It’s neuroscience. Psychology. Economics. Tech. When advertising is truly effective, it provides a clear emotional benefit and solves a tangible problem for the consumer. On the surface, it’s that simple — but underneath, it’s increasingly complex. To achieve real connection, conversion and loyalty, ads have to work harder than ever before to tap into relevant human needs, to directly address emotions and solve consumer problems. Take, for example, this recent ad for Samsung Pay. It’s a simple, relatable narrative, but behind the scenes, it addresses widespread mistrust and misunderstanding of new payment technology. 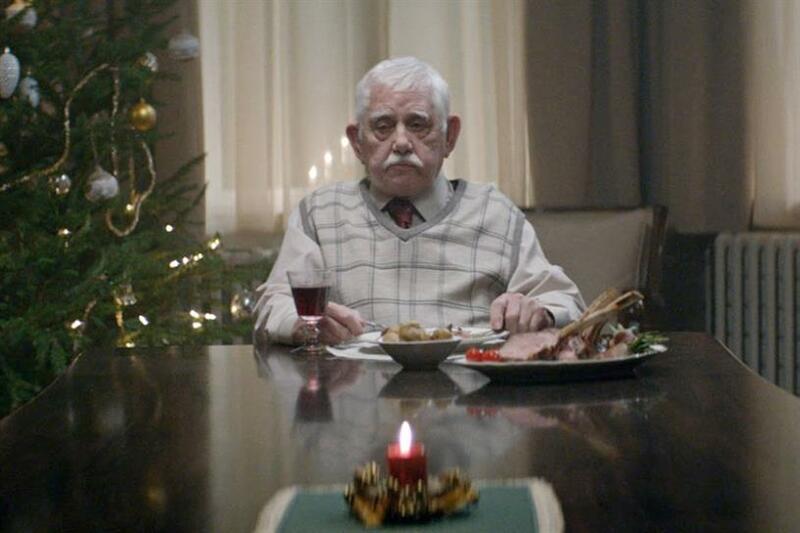 Or this Edeka holiday ad from Jung Von Matt, which is so complex, so emotional, so very human in its construction. They hit home, they connect. The insightful thinking behind these ads — the human-first approach — should not just apply to above-the-line creative. It must be present across all marketing. But attention spans are shorter, shifting quickly from screen to (smaller) screen. New publishers and content providers seem to pop up every other day. There are unprecedented choices in platform, channels, and devices — overwhelming, even paralyzing, advertisers. So in an effort to cut through this clutter, we’ve seen the rise of personalization and operational streamlining. Utilizing data points and interchangeable copy and imagery, we can now theoretically deliver one-to-one messages to each consumer (or, at the very least, a hyper-targeted segment). On paper, this sounds fantastic. But the sheer quantity and scale of available data makes it impossible to manually uncover, understand, and apply insights in a relevant, meaningful way. So with rising pressure to personalize, we turn to machines to make these decisions for us. Programmatic buying continues to grow at an astonishing rate. By the end of 2015, eMarketer predicts it will have comprised 61%, 30%, and 12% of total programmatic digital display ad spend across mobile, desktop/laptop and video, respectively. Perhaps unsurprisingly, programmatic is spilling beyond media buying into the creative itself, with creative programmatic startups like PaperG and Persio beginning to take off. And with this, we may soon see more media agencies start to create their own proprietary software to write and surface creative. But here’s the cautionary catch: the human advantage over algorithms lies in nuanced emotional intelligence, which allows us to speak with the consumer clearly — to predict, sense and react based on behavior that might defy logic. These distinctions explain why consumers can still see the machine behind the copy when it’s written according to an algorithm; why programmatic creative looks and feels less than personal. In response, we get caught up in seeking levels of artificial intelligence necessary to make those strings and machinations disappear, successfully making algorithms the indistinguishable norm for most below-the-line creative. But that’s a flawed response. The answer doesn’t lie solely in improved machines or better formulas. It’s in human framework and strategy — the nuanced critical thinking behind all effective above-the-line creative — and it’s become that much more important with the increasing focus on automated tactics. Getting from point A to point B, achieving reach and scale of targeted delivery, is more attainable than ever — but it’s the why that cannot be forgotten in this process. That’s where the fascinating, perhaps illogical bubbles of human insight and relevance emerge. And just because we can create more, faster, doesn’t mean we should.